If you are reading this, you are probably seeking Social Security Disability or SSI benefits, or you are helping a disabled person. This is the population that saw the greatest benefit from the Patient Protection & Affordable Care Act (“ACA” or Obamacare), signed into law by President Obama on March 23, 2010. Beginning in January 2014, when most of the ACA provisions took effect, we observed a significant change in the lives of our clients. Many were able to access health insurance for the first time, and no longer had to choose between going to the doctor or eating that week. Prior to the ACA, there was a healthcare gap which affected people who were not quite poor enough for welfare and Medicaid, but certainly not wealthy enough to pay health insurance premiums. Not only was this a humanitarian and ethical societal problem, it adversely affected the ability to prove disability to the Social Security Administration (SSA). To establish disability, to the satisfaction of SSA, a claimant must provide medical evidence to establish a diagnosis and medical signs and symptoms. Without medical evidence, SSA usually disbelieves the claimant’s complaints and denies the claim. In more than one case, claimants died of their impairments, but their claims were still denied because there was not sufficient medical evidence. Medical evidence is very important. Without health insurance it is extremely difficult to access medical treatment … and without medical treatment, there is no medical evidence. By providing health insurance to effectively fill this gap, the ACA made it possible for people who have been unable to work due to physical or mental impairments to prove disability. While federal disability benefits are certainly not going to make anyone wealthy (ranging from $735-$2,687 per month), this provides a level of financial security and dignity that every disabled American should be provided. This is a piece of our social contract, and something we should all be proud of and support. The current Administration has promised to repeal the ACA. We anticipate that this will reopen the health care gap and result in the loss of health insurance for many people who can no longer work but are not yet poor enough for Medicaid. While our taxes pay for the Cadillac health insurance enjoyed by members of Congress, they are threatening to repeal the minimal healthcare benefits that have flowed from the ACA to millions of low-to-middle income people. 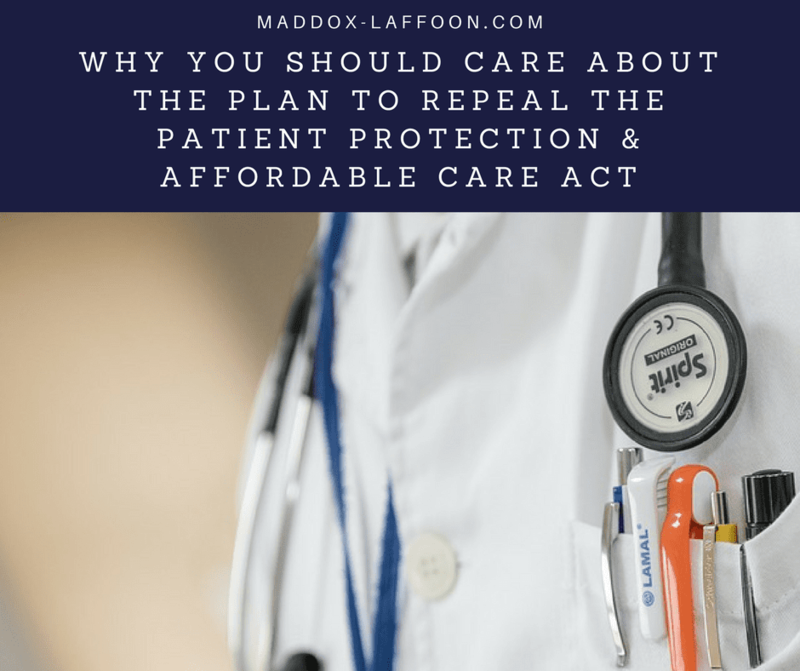 To date, no replacement plan has been offered that will effectively protect these benefits.